What are you doing for brand awareness? Is your brand distinguishable in the sea of products? Food, in general, is a necessary sort of goods, making it important to consumers across every demographic and psychographic category. That means there’s literally thousands of branded food products competing for the attention of those consumers. These brands use a ton of advertising and media. 3. What’s it going to take to reach my target? I get it your product is for EVERYONE. Everyone loves it. But, let’s dig deeper. 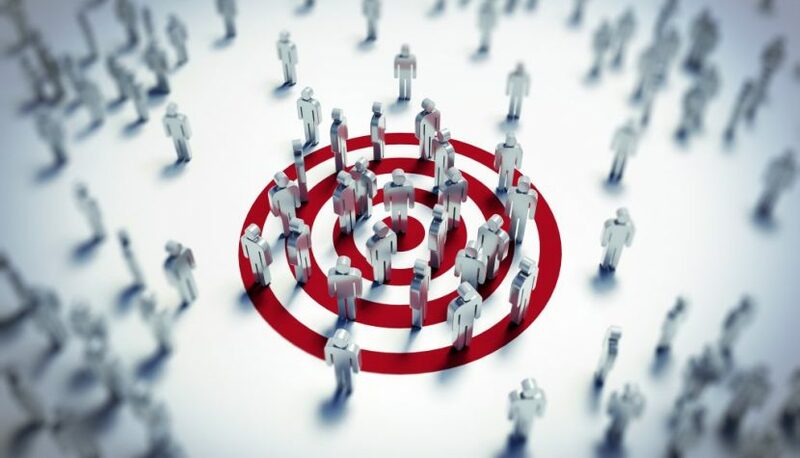 Finding your target audience involves geographic, psychographic, and demographic analyses. A good place to start is looking at who already buys your product. Is it mostly women or men? If it’s mostly women, does she have a family or is she single? If she has a family are their commonalities that thread through people who buy your products? Answering questions like these helps frame your strategy around your audience. Thus, you’re able to narrow the media tactics that offer the best exposure to your target. 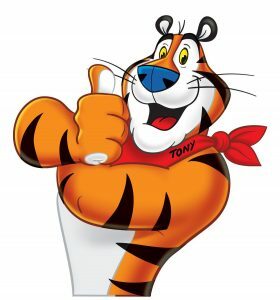 Tony the Tiger is a well-renowned cereal mascot that transcends generations. on TV. These big brands had it right, but it’s impractical to think you’re going to drive hundreds of consumers to your branded product using the wrong type of advertising. The sheer number of options available when it comes to brand awareness tactics, from the internet and social media to television and radio, can feel overwhelming. But this is important to take into consideration: Market Track analysis found that 80 percent of shoppers say they utilize more than one promotional media type to make purchase decisions, with print and websites being the most frequently used promotional vehicles. In addition, sales reps from each medium are constantly hounding you about the benefits of their vehicle, never thinking about your product’s branded message or your target market. Be sure to match your advertising medium to your product’s brand message. Not sure where to start? Call NewPoint or check out our food marketing book Moving Your Brand Up the Food Chain™. If you order the book now, it’s 50% off!